Hiring of employees is a challenging and time-consuming process. Sourcing candidates, reviewing resumes, shortlisting candidates and interviewing multiple applicants can often be both physically and mentally draining. But the real challenge begins with onboarding of new hires. In small and midsize companies, it becomes difficult to keep a balance between core HR activities and recruitment functions. Many organizations overlook the importance of a well-structured onboarding program, due to limited resources. According to Aberdeen Group, only 32% of organizations recognize the importance of a formal onboarding process. Allied Workforce study has also revealed that 35% of companies have spent zero dollars on employee onboarding. Because of dissatisfying onboarding experience, employers face challenges in employee engagement, productivity and retention. Let’s study a case to know some other challenges in employee onboarding process. This case is about a rapidly growing mid-size organization offering digital marketing services to clients across the world. The company needed an efficient process to speed up employment documentation for the new hires and reduce their time-to-productivity. 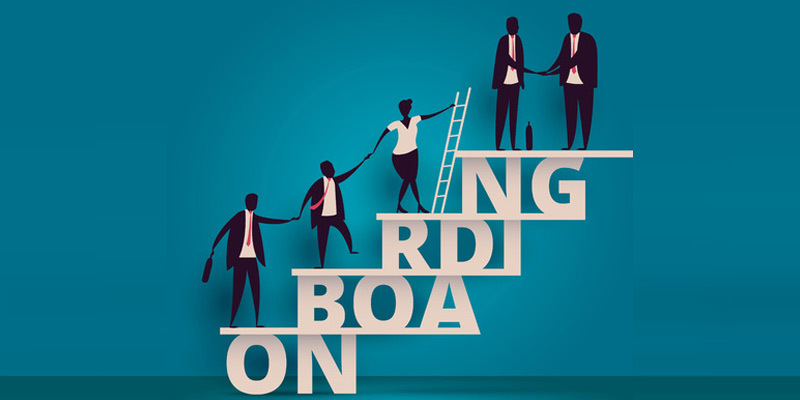 Operating from 2 different offices in the U.S., the administrative burden of managing 10 to 15 onboarding requests each month became a major concern for the employer. The company had paper-based approach at the time. HR used to send a Welcome Packet with more than 10 documents, containing multiple forms (Form W-4, I-9, etc.) for personal and professional data collection, and other important documents conveying employment policies and more. Customizing and preparing unique set of Welcome Packets for employees located in different states was another challenge. This was important to meet statutory regulations of each state. Most of the forms required repetitive entry of personal information which kept new hires busy with paperwork for long hours. These new employees use to take a lot of time to review, complete and return the documents via fax or mail, sometimes even couple of days. The company needed a centralized, automated system to store employee data online, speed up onboarding process, remove the process of sending Welcome Kit, and maintain compliance. After sharing the challenges and taking a HR software demo, the company showed interest in implementing Empxtrack Onboarding solution to automate the process. Within days, the company went live with Empxtrack integrated cloud-based onboarding solution. The product fast-tracked new hires through the documentation process, and accelerated their productivity by taking them to performance plans and goals. This ensured that the new hires also have clarity on what’s expected of them. 1.Configure onboarding work flow as per company needs: Automated software offers flexibility to customize onboarding workflow. The workflow supports new hires to acclimate to the new company culture and their role. 2. Support online employment documentation: With multiple forms, an employer can collect all the personal and employment details, along with emergency contacts, bank details, beneficiary information, signature and more. The information may be needed for Human Resources, IT Security, Finance and other departments involved in employee onboarding process. Employees need to input their information only once, as it gets updated in multiple forms. This saves time and gives better experience to the new hires. 3.Give clarity on the new job role and accelerate productivity: Automated onboarding reduces time to productivity and support employees to completely understand their new job and meet expectations. 4. Adjust the new hires in the new work culture: Elimination of excessive paperwork frees up new hires to interact with their colleagues, seniors and peers from the beginning. This enables employees to understand company values & organizational objectives and adjust quickly in the new work environment. Thus, improving the overall onboarding experience of the new hires. 5.Avoid compliance risks: Before new employees jump start their work on day one, employers provide them all the documents containing basic legal and policy-related regulations through the onboarding portal. This keeps them informed on important company policies. 6. Integrate onboarding tool with other systems: Empxtrack onboarding tool can be seamlessly integrated with other HR tools that quickly syncs data and saves time in data entry. HR Technology solution, like Empxtrack, automatically transfers information gathered during onboarding into all other HR processes. Forget making onboarding checklists and implement the tool to speed up onboarding in your organization.